Tonight for dinner we had one of our family favorites, beef stroganoff, but with full fat coconut milk (from Whole Foods) since I didn’t have any greek yogurt. I have to say, we all loved it and actually prefered it this way. I’m so happy to have found a way (on accident) to make this dairy-free! We also roasted some carrots. It’s funny to me that kids get so excited over things like the big Bugs Bunny carrots with the greens on the end. Mine were fussing over who got to shave them and who got to eat the most. And, they both wanted to have it for their school snacks tomorrow. So much so that Alice already cut her’s up and packed her snack with some rasberries for tomorrow. The girl never packs her own snack. Sometimes it’s just the little things, you know? 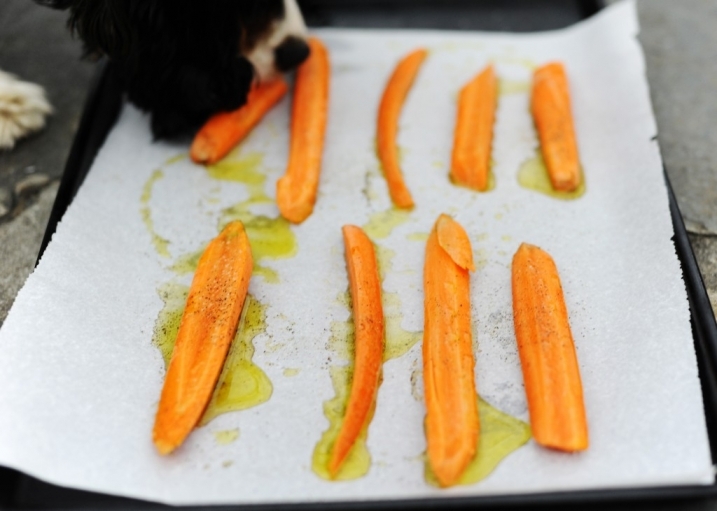 So for the carrots, I (or the kids) peeled them, cut them up, and placed them on a cookie sheet lined with parchment paper. Then I drizzled some EVOO (or preferably coconut oil) and added a dash of celtic salt and pepper. 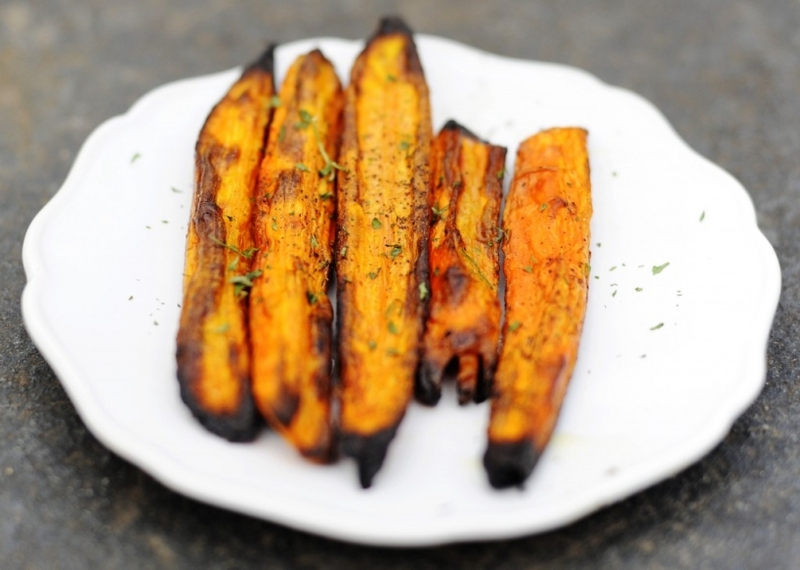 Anyway, although I totally burned these, the kids said they were “carrot fries” and loooved them!! They made me promise to cook them again tomorrow night! I cooked them on 450 for 30 min. Maybe I’ll try to cook them for just 25 minutes tomorrow. I guess it will just depend on the thickness. It supplies all over 70 vital trace minerals to promote optimum biological function and cellular maintenance. They help to balance and replenishes all of the body’s electrolytes. Thomas S. Cowan, M.D., physician and author of “The Fourfold Path to Healing”, believes that many illnesses are caused or exacerbated by trace-mineral deficiencies. He suggests the liberal use of Celtic Sea Salt in cooking and the complete avoidance of all other salts, all of which contain only pure sodium chloride. 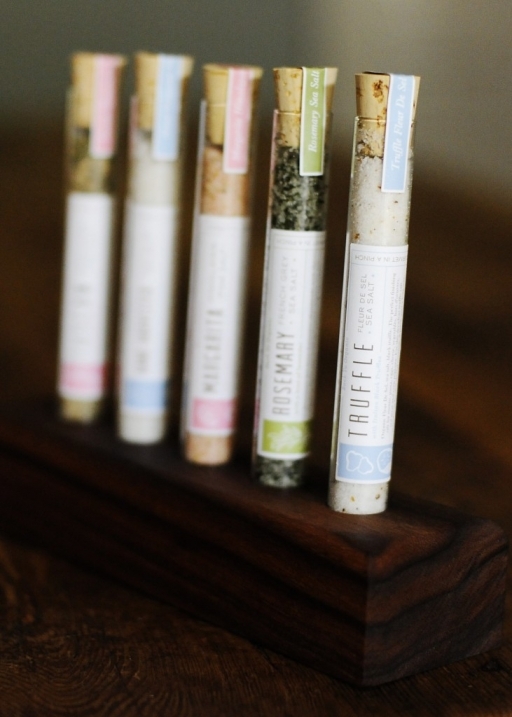 With that said, my friend Julie has developed a really cool and fun way to use high quality salts and herbs. These salts are some of the best salts in the world and some of the herbs are grown organically in Julie’s amazing garden. They really enhance the flavor of any meal. The fun part is figuring out, which meal! 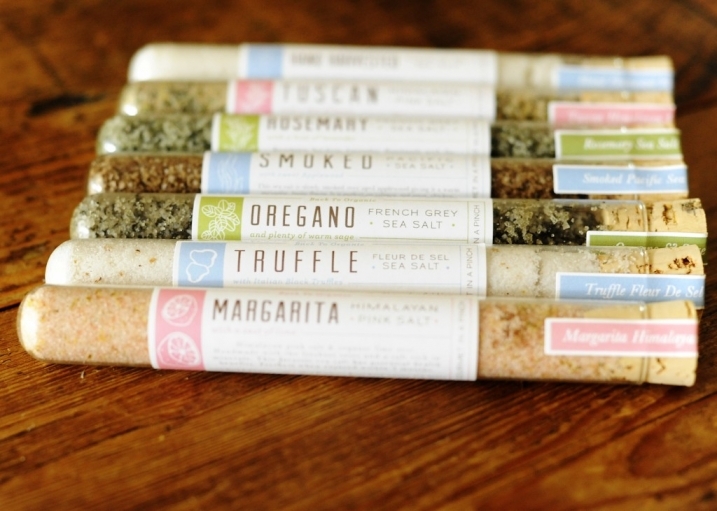 Personally we love the Margarita salts, Rosemary salts and the Truffle salts the best, but they are all fantastic! If you would love to check them out, she has a beautiful blog called Back to Organic which is a must see but here is the link to her wonderful salts. 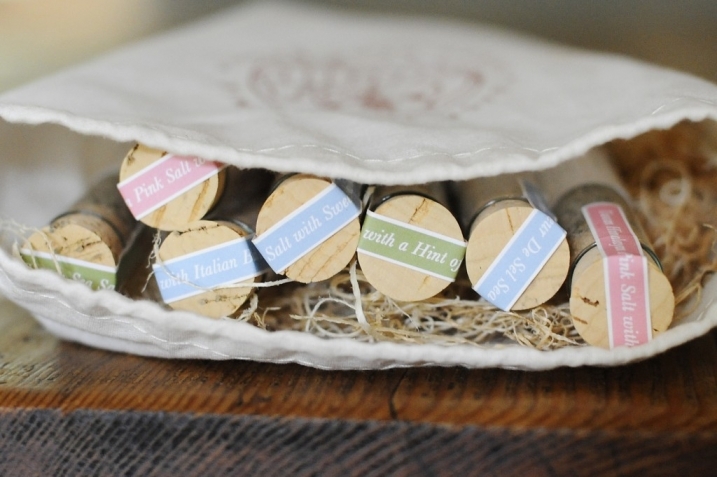 These delicous and healthy salts are fun for the whole family to play around with, but they also make the pefect gift for that foodee friend of yours that already has everything!